Obviously downing H20 is priority number one when it comes to keeping our health in check, but it’s no secret that coconut water has been the holy-grail health drink for a while. It’s ranked supreme among experts as one of the best beverages to chug after a crazy workout. But this health drink du jour has a contender you need to know about. If you’re down to try your next best answer to glowing skin, be sure to acquaint yourself with cactus water. Cactus water is a plant-based beverage derived from the fruit of the prickly pear cactus and packed with incredible health and skin benefits. Think coconut water, but even better. There, we said it. 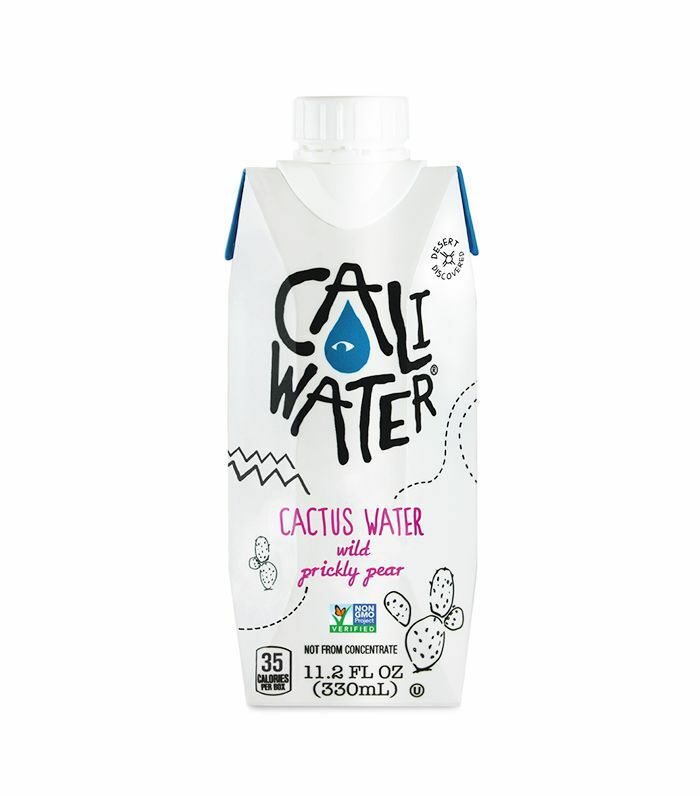 Cactus water is made with half the calories and sugar than lots of coconut water products sold on the market. But this under-the-radar drink isn’t just another concoction that claims to work wonders only to disappoint you. We have proof that this stuff is the real deal. We called on four experts to give us the lowdown on all the reasons everyone should stock your fridge with this succulent drink that may be the secret to stunning skin. One of the best decisions we can make for our skin is staying hydrated, and drinking cactus water provides the moisture your cells need to function properly. “When consumed, cactus water is a natural source of electrolytes, which the body requires to remain properly hydrated. Hydration is essential to healthy and supple skin,” Engelman says. Registered nutritionist and dietitian Amy Shapiro of Real Nutrition New York recommends keeping cactus water nearby if you’re hungover or sick but especially if you’re working out. “Since it has electrolytes and a little sugar, it will replenish your fluids, and the hydration will keep you going. Cactus also contains the amino acid taurine, which can help repair muscle tissue damage that occurs during exercise. Like almost anything with electrolytes, cactus water can aid during workouts, hangovers, or illnesses such as stomach bugs or common colds to keep you hydrated,” says Shapiro. Engelman even suggests it to her patients as a great replacement for coffee when they’re in need an energy boost. “The anti-inflammatory properties will help with muscle recovery after a workout and can reduce chronic inflammation associated with skin diseases like rosacea, psoriasis, and acne. In addition to drinking water, I suggest cactus water instead of coffee for an afternoon pick me up,” she says.